With the arrival of the new year, the time for the car insurance renewal online is imminent for many car-owners in India. And, those who don't have a car yet are planing to buy one this year especially after the reduced price of diesel and petrol. 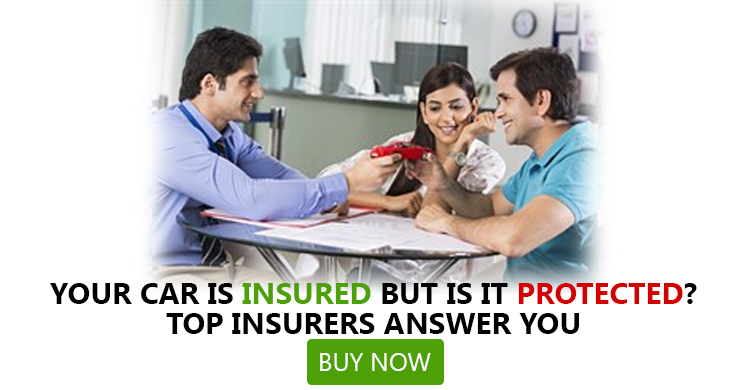 Both set of people need to gather information about various car insurance companies in India in order to select the best provider. Here is a comprehensive list of top 5 car insurance companies that well and truly deserve your attention. Tata AIG marked 15 years of relentless service in 2015. The company have recently come up with an innovation known as ‘Go Digital’ that allows for seamless sales process. This reputed general insurance company also established Tata AIG Academy in the May of 2014 with a view to impart knowledge in general insurance niche. Tata AIG motor insurance plans include private car insurance, commercial vehicle insurance and two wheeler insurance. The below are the key features of Tata AIG private car insurance plans. Bajaj Allianz made a profit of Rs. 777 crore before tax to become the only general insurance company in private sector to go past the hallmark of Rs.100 crore in last two years in profit before tax. The company received Certificates of Appreciation by Punjab and Haryana High Court and Rajasthan High Court for bespoke performance in third party motor insurance claims. Bajaj Allianz also grabbed The Silicon Valley Business Award 2015 for its innovative product called Insurance Wallet in categories like Best Financial and overall app categories. MobiFuel is another innovation from Bajaj Allianz. This android mobile app is free and it provides policyholders with necessary support on the go to manage their service records and mileage of their vehicles. This MobiFuel app can further be utilized to have insurance records stored and also to provide policyholders with vital services like timely re-fuel and insurance renewal reminders. Policyholders can settle their cashless claims in more than 1500 network garages. Policyholders receive 75% payment on account when this facility is unavailable. Towing facility is available over phone or online even on holidays if the insured car of the policyholders meets an accident or breaks down. Network garages of Bajaj Allianz facilitates policyholders a hassle-free inspection, high standards of service and cashless claims settlement. ICICI Lombard is the largest general insurance company in India's private sector. For the financial year that ended on March 31, 2015 the company boasts a GWP of Rs 69.14 billion. In 2013, a survey was commissioned by Ministry of Consumer Affairs, Dept. of Consumer Affairs in India to assess Customer satisfaction and ICICI Lombard received the highest rating and also regarded as 'The Most Recommended Company'. World Brand Congress declared 'The Save Money Motor Insurance' campaign by ICICI Lombard in 2010 as the Best Marketing Campaign of the Year. Apart from the one of a kind claim processes, numerous helpful add on covers are associated with Future Generali comprehensive motor insurance plan. Inconvenience Allowance cover: Policyholder can avail this add on cover to get paid for the days when the insured car of the policyholders is in the garage. The list mentioned below is of premium and incurred claim ratio of top 5 car insurance companies in India in 2016. The premium rates are calculated for a 5-seater Honda City car with cubic capacity of 1343cc. The model variant is 1.3DX, petrol. The car is registered in the month of May in 2015 in Kolkata. The car-owner didn't opt for voluntary deduction or any other type of discount. All the premiums mentioned below don't offer coverage for car accessories. A comprehensive car insurance plan gives relief when the car meets an accident or is being stolen. If you settle with a car insurance online plan you can save both money and time. However, to carry out the task of insuring your car efficiently you need to find a reliable and reputed car insurance company in India. This list of top 5 car insurance companies in 2016 in India will guide you the selection of the best car insurance plan for your car. GIBL allows for detailed comparison of as many as 4 auto insurance policies online simultaneously. Once you decide on a particular online car insurance policy you can avail it right from the portal of GIB within a few minutes.